Nicole is a former lawyer and the founder and CEO of Theory and Principle, a legal technology product development firm. Whether it is improving the delivery of legal services, the justice system, lawyer efficiency, legal education, or access to justice for all, Theory and Principle works with clients who are moved to innovate and build to create a better system. Nicole Bradick is Chief Strategy Officer at CuroLegal, a company that works with lawyers to grow efficient, profitable, and scalable firms through its consulting services, operations support, and flexible staffing solutions. She was the founder and CEO of Custom Counsel, a nationwide network of freelance attorneys, which was acquired by CuroLegal in 2015. 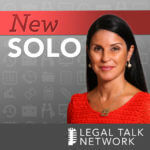 She regularly writes and speaks about the changing legal marketplace, the evolution of the law firm business model, and the technology that allows attorneys to do their work better, faster, and cheaper. For her work in this area, she was named a 2012 ABA Journal “Legal Rebel” and was named to the Fastcase 50 list of global legal innovators in 2014. Nicole Bradick discusses identifying something that's not working in a law firm and the importance of investing the energy to fix it. 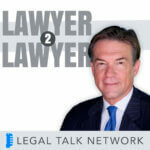 How can lawyers and law firms thrive amidst the rising popularity of self-help legal technology? 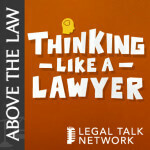 Experts Catherine Sanders Reach and Nicole Bradick discuss in this legal podcast.